Wildin David Guillen Acosta, 19, was detained by ICE on his way to school. On a cold morning in late January, Riverside high school senior Wildin David Guillen Acosta started his car to warm it up for the drive to school. He went inside his family’s Durham apartment to grab his book bag, and when he came back out, two Immigration and Customs Enforcement officers, or ICE officers, were waiting for him. Acosta’s father Hector, who was still asleep in the back bedroom, says he woke to the sound of his son yelling, "I don't want to go." He ran to the window and watched as his son was taken into custody. "It was very hard for me," he said. "I couldn't do anything. What was I going to do against immigration?" Acosta is one of more than 100 undocumented people ICE has detained in a recent increase in enforcement operations in the Southeast. The 19-year-old is now in a detention center in Georgia while a judge decides whether he’ll have another shot at getting refugee status. A recent increase in immigration enforcement has North Carolina's undocumented families on edge. Many are staying home to avoid being spotted by Immigration and Customs Enforcement, or ICE. But, as Jess Clark reports, if you're an undocumented student, that means missing school. "The morning after it happened, I was missing 8 students. Eight students in my homeroom out of 23." Acosta was 17 when he crossed the border without documentation in 2014. He came to join his mother, sister and father who were already in the U.S. and to escape the violence ravaging their home country of Honduras. Immigration enforcement stopped him at the U.S.-Mexico border, but as a minor, he was allowed to go free while an immigration judge considered his case. 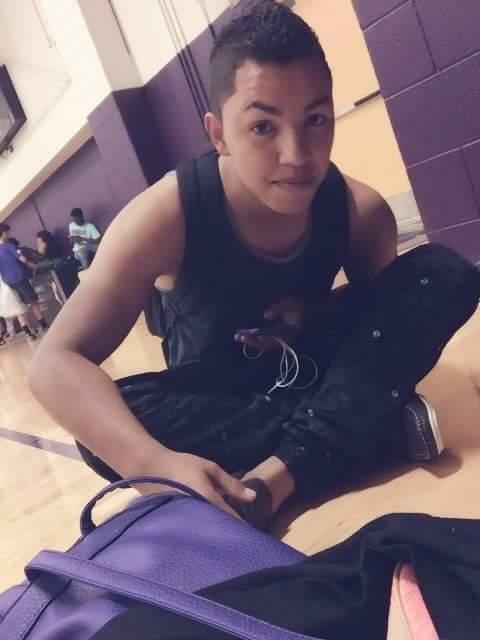 Since the summer of 2014, tens of thousands of minors like Acosta have trekked alone from Mexico and Central America to the U.S.
Acosta's sister Katherine, a sophomore at Riverside, explained through an interpreter at a Durham Board of Education meeting that Acosta left Honduras after members of violent gang known as Barrio 18 gave him an impossible choice: join us, or we will kill you. "If he is deported, he will be deported to Honduras, and he will die," she said, holding back tears. Wildin Acosta's mother Dilsia, with her nieces. Riverside teachers say Acosta’s chair isn’t the only one that’s been empty since he was taken into custody. "The morning after it happened, I was missing 8 students. Eight students in my homeroom out of 23," Riverside teacher Ellen Holmes told the Durham school board. Holmes' homeroom is all English language learners, many of whom she says are undocumented and now fear being picked up by ICE on their way to or from school. Those who are coming, Holmes said, are often too anxious to focus. "I spent my lunch period today trying to calm a very high achieving student who has a bright future, who’s going to go to college. But is so scared that she’s going to come home and her parents aren’t going to be there," she said. "They're all worried about it," Riverside civics teacher Ahmani Owens said in an interview, referring to his Latino students. "It's become a thing at school." Holmes says several missing students returned to school after a few weeks. But others are still unaccounted for. "If he is deported, he will be deported to Honduras, and he will die." Bryan Cox is spokesman for ICE. He says Acosta and others detained in North Carolina fit a specific profile ICE is making it a priority to detain. "These are adults, they have had their day in court, their case was considered, an immigration judge ordered them removed from the United States, and they fall within ICE's stated removal priorities," Cox said. Cox says ICE has a policy against carrying out operations in schools, and that the agency is simply following policies set by the U.S. Department of Homeland security. In 2014 DHS made it a priority to remove anyone with an order for deportation who had arrived illegally after January 1, 2014, or who had been stopped at the border. "As Mr. Acosta is an individual who is a recent arrival and was encountered at the border of the United States, he falls into both of those categories in terms of ICE priorities," he said. An immigrant rights grouup called Alerta Migratoria has called for the immediate release of Acosta and six other young people detained in North Carolina. Acosta and one other detainee were enrolled in school. "These are adults, they have had their day in court." Back at the Acosta’s apartment there’s a lot of anxiety. Wildin Acosta is in detention and may be headed back to Honduras. Katherine, who is also undocumented, is at school—a decision her mother Dilsia was against at first. "I didn’t agree," she said. "But she [Katherine] is here, and she wants to move forward with her life. So I will accept her decision, regardless of the consequences." Federal officials say they're willing to hand over details about a proposed immigration detention facility to towns in Wake County provided that local officials keep them a secret. But the request from the General Services Administration could be subject to North Carolina's public records law. Lana Hygh is Cary's liaison to the GSA. She says town officials are trying to determine whether the confidentiality request is allowed under state law. The proposed move of a federal Immigrations and Customs Enforcement office in Cary is raising hackles among some residents. ICE officials want to move from a Cary business park to another location. One of the sites being considered is in a shopping center where a supermarket was housed. Susan Moran is a spokesperson for the town of Cary. Susan Moran: "If the ICE facility were to relocate there and be more than 12 thousand square feet, and that building is 59 thousand square feet, it would absolutely violate the zoning conditions for that area."